Rocket launches used to be the realm of national governments, but with the rise of private spaceflight companies more rockets are launching into space than ever before. While most rockets launch satellites into orbit, some like Russia's Soyuz, carry astronauts on missions into space. SpaceX's Dragon and Boeing's CST-100 Starliner will fly Americans into orbit, while Virgin Galactic and Blue Origin will launch space tourists on short suborbital trips. 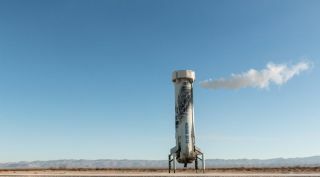 SpaceX and Blue Origin even land their rockets after launch for later reuse. See news, photos and videos of the latest rocket launches from around the world here. India launched 29 satellites into orbit on April 1, 2019 on the heels of a military anti-satellite missile test.